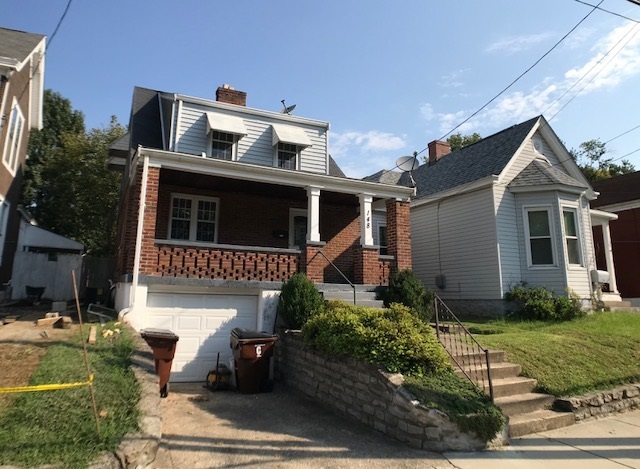 Beautifully Updated 2 Bedroom Cape Cod with Old World Charm, Refinished Hardwood Floors throughout, Garage and driveway for offstreet parking, Cozy Front Porch to Relax on! HVAC replaced in 2014 and Water Heater in 2015. Pantry off the Kitchen! Tile Floor, Walkout to Nice, Flat, Fenced Backyard! Completely Remodeled Bathroom! Just move right in all the work has been done for you! Schedule Your Private Showing Today!